Turn your Smart Home into a Spooky Home with these 4 Fun Ideas! Halloween is one of the most appropriate times for grown adults to act like children. So in the spirit of the spookiest holiday, here are a few ways your smart home can participate in the festivities. The best news...most of these ideas work great for any holiday. It is not at all uncommon to see people replacing their exterior lights with festive colored bulbs. But if you don't want to store and replace light bulbs year round, consider smart RGB lights that you can adjust at the touch of a button. 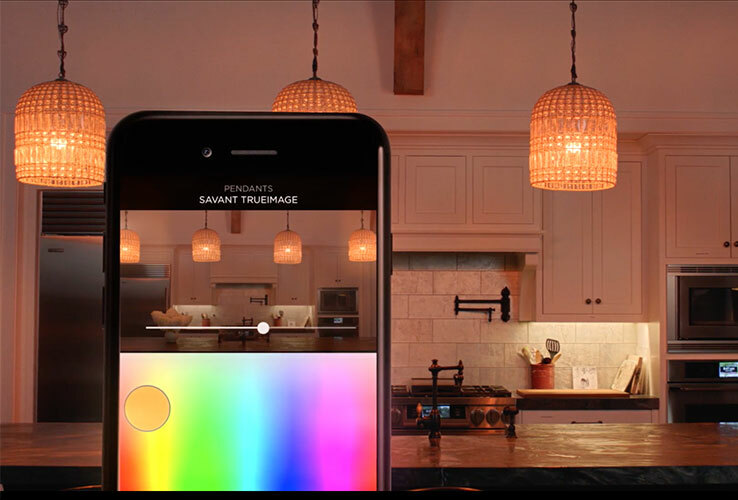 Savant Lighting and Phillips Hue both allow you to choose any color from a simple app and apply it to your lights, along with dimming levels. Want a spooky halloween feel with dramatic orange lighting? Easy. Bright and merry red and green lights to celebrate Christmas? No problem. What about celebrating your alma mater after a big win? Done. All without touching a ladder or getting covered in spiderwebs. If you really want to get into the spirit, consider playing a Halloween playlist, or even creepy sounds, over your home music system. To take it a step further, add some smart bulbs in your entryway and a fog machine to surprise trick-or-treaters when you open the door. If you have a wireless music system like Sonos you could even move a speaker to the front yard to greet guests as they arrive. Let us know if you have any great ideas for using technology to celebrate (or skip out on) Halloween!